A luxury car tax is a tax applied to the purchase of automobiles whose cost exceeds a certain threshold. The idea behind the tax is that if someone is buying a particularly expensive vehicle, they should be able to afford a little bit more in the form of a tax that increases government revenues. As of June 2013, a true luxury car tax is not being levied in the U.S., though there are other taxes that have a similar effect. 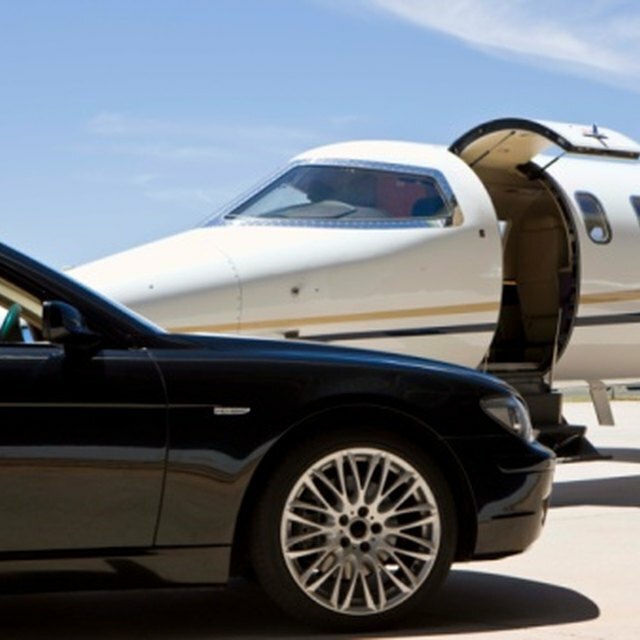 Luxury car taxes are levied in some countries around the globe. Australia, India, Indonesia and Mexico all have either a specifically identified luxury car tax or car taxes in which the rate goes up as the value of the car increases. Ireland, Latvia, Switzerland and the U.S. impose additional taxation or reduce tax deductions on luxury business cars, as well. While the U.S. has not had a formal luxury car tax since it expired in 2002, both New York and Connecticut toyed with introducing one in 2008, but ultimately didn't. Some states charge a registration or vehicle license fee that is tied to the value of the car. In the IRS' eyes, these fees are personal property taxes. While most of these fees are flat -- meaning you pay the same rate regardless of the value of your car -- owners of more expensive cars pay higher taxes for their registration renewals. For example, Iowa charges a 1 percent tax on the value of a vehicle that is less than seven years old. A new sedan that cost $25,000 would carry a $250 fee while a new $75,000 luxury sedan would carry $750 in taxes. Other states that apply taxes on the value of the car include Minnesota, California, Wyoming and Louisiana. While not specifically aimed at luxury vehicles, the Environmental Protection Agency applies a gas guzzler tax to vehicles that fail to meet minimum fuel efficiency standards. The tax is only applied to cars, not trucks or sport utility vehicles and goes up based on how far below the EPA's minimum mileage standard the car falls. In the 2013 model year, the only vehicles subject to the tax are large-engine luxury vehicles, performance cars and sports cars. If you write off your car because you work in a job that requires you to drive your car or are an independent contractor, the Internal Revenue Service caps your ability to claim depreciation on luxury cars, making you pay proportionally more taxes. Under the tax code's depreciation system, any of the cost of upgrading to a luxury car as opposed to a non-luxury car is considered a personal expense and is not deductible. Because the IRS sets the threshold so low, much of what you'd spend on a luxury car will not be eligible for depreciation. As an example, for the 2013 tax year, section 280F of the tax code caps the amount of depreciation you can claim in your first five years of ownership at $21,885, and that amount includes a bonus depreciation allowance.